Anyone who claims flowcharts are boring obviously hasn’t met our creative director and his team. Hopefully by now you’ve seen some non-traditional flowcharts floating around, and hopefully you’ve taken the time to check out at least a few of them. After all, these flowcharts are part of an award-winning marketing campaign—but more about that later. Here at Lucid, we’re passionate about flowcharts. Unfortunately, not many share our sentiment on that particular subject. This lack of enthusiasm is a problem we desperately wanted to remedy—because we believe there truly is a flowchart for everyone. However, we realized that even if we talked about diagrams until the cows come home, in order to truly convince people of the untapped potential of a flowchart, we needed to think visually. And thus the Flowchart Fridays campaign was born. 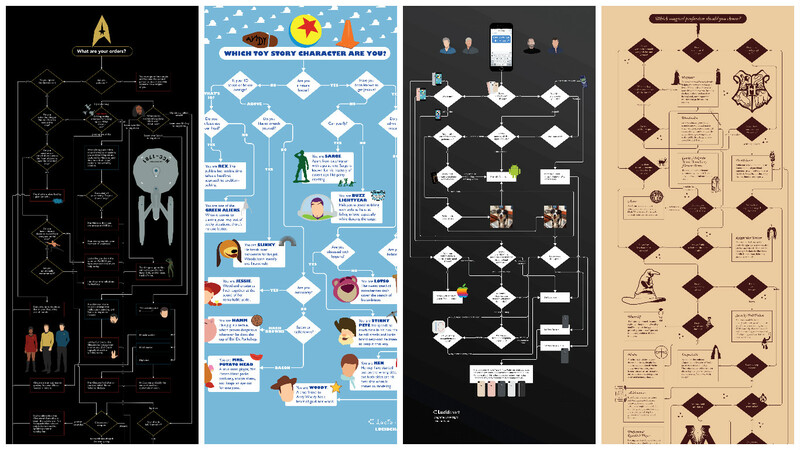 To prove that flowcharts can speak any language and that anything can be transferred to a visual medium, we decided to take everyday pop culture topics and build flowcharts around them. Our creative team (along with subject-specific experts across the company) crafts engaging copy peppered with a dose of snarkiness, and then we design beautiful flowcharts matching the overall theme. We play on currently trending topics to engage a large demographic and prompt conversation—anything from new movie releases to the latest sports hype to juicy election drama. Each week we roll out a new creative flowchart—and none of them have absolutely anything to do with AWS architecture or network diagrams. We’ve done it all—everything from speculating who Rey’s parents are in honor of May the Fourth, to discovering which Golden State Warrior you would be before the NBA finals, to discussing whether to buy the iPhone 7 directly after the Apple keynote. We help people determine which wizarding profession they should choose, which Toy Story character they would be, and who Trump and Hillary should pick as their VPs. Our most popular flowchart lets you craft a winning Fantasy Football league. What started out as a fun pet project for our art director has essentially exploded. Collectively, the flowcharts have garnered 1.5 million page views with over 5,000 social shares. Support for the project has consistently grown, with a mere 5,000 views on our first flowchart climbing to 200,000 on our most popular one. Our flowcharts have been picked up by outlets such as The Huffington Post, Gizmodo, Screen Rant, and CNET. 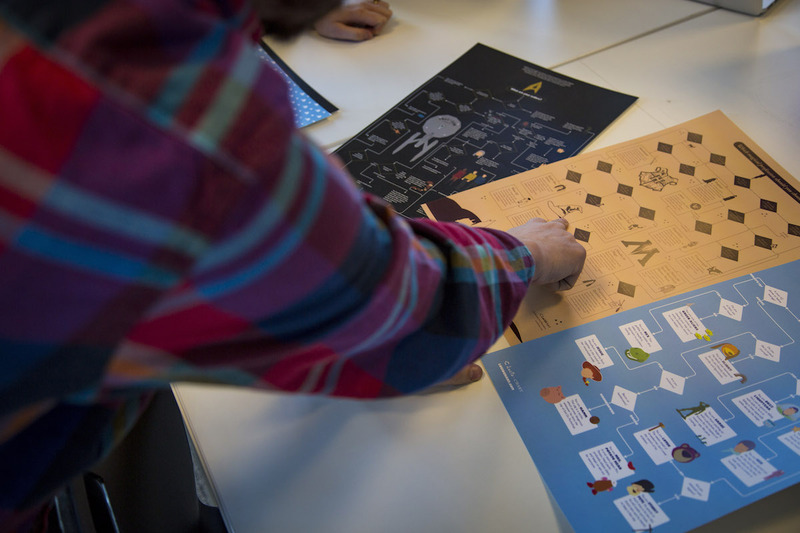 Recently, our flowcharts have been honored with a number of local and national awards. Last month, Flowchart Fridays was awarded best content marketing campaign by the Utah Marketing Association. In January, the campaign will be recognized again as the best content marketing campaign in the state by Utah Business Magazine. Just released today, Lucid Software is featured on the Kapost 50, a list honoring the best B2B marketing brands of 2016, for this campaign. Kapost evaluates hundreds of B2B brands before coming up with a list of top-notch marketing teams who integrate strategies, create full-funnel content, and value quality over quantity. This year’s list includes companies such as American Express, FedEx, and Allstate. Now how can you call a flowchart boring after that? You can explore our Flowchart Fridays campaign in all its glory or even better, try making your own! 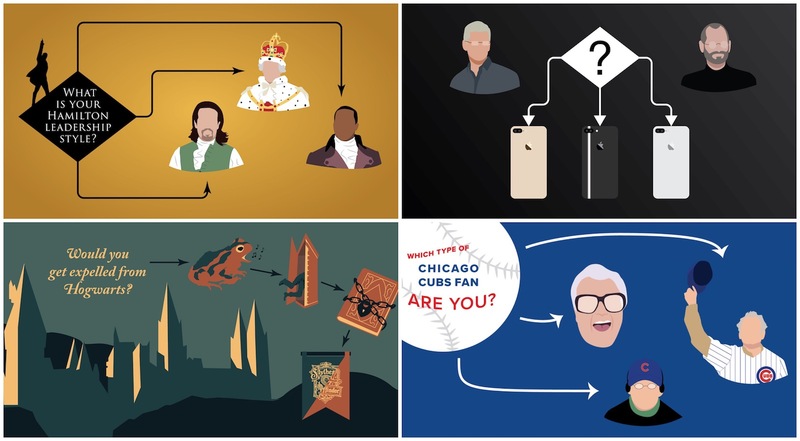 Keep up with our latest flowchart creations by visiting our gallery. Lauren McNeely is a recent graduate of Brigham Young University, where she majored in Business Management with an emphasis in Marketing. 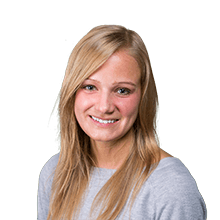 Lauren works as a content marketing specialist on the marketing team. When she’s not writing, you’ll find her traveling any chance she gets, boating at Lake Tahoe, or reading on the beach.